Maseru (Lesotho), May 30, 2018 (SPS) - The King of Lesotho, Letsie III, has received at the Royal Palace, the President of the Sahrawi Arab Democratic Republic (SADR),Brahim Gali , reiterating during the meeting, the firm support of his country to the right of the Sahrawi people to self-determination. At the reception, the monarch of Lesotho, who is considered the symbol of unity of the kingdom, expressed his understanding of the challenges facing the Saharawi people on their way to independence, clarifying that his country supports the efforts of the United Nations and the African Union, concerning the search for a solution. 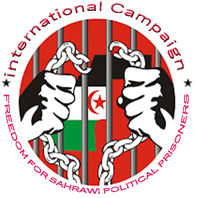 For his part, the President Brahim Gali, has expressed his thanks to the King Letsie III, for his country support to the cause of the Saharawi people.